"These guys will remind you of the old days going to Billy Blues on Grayson!" 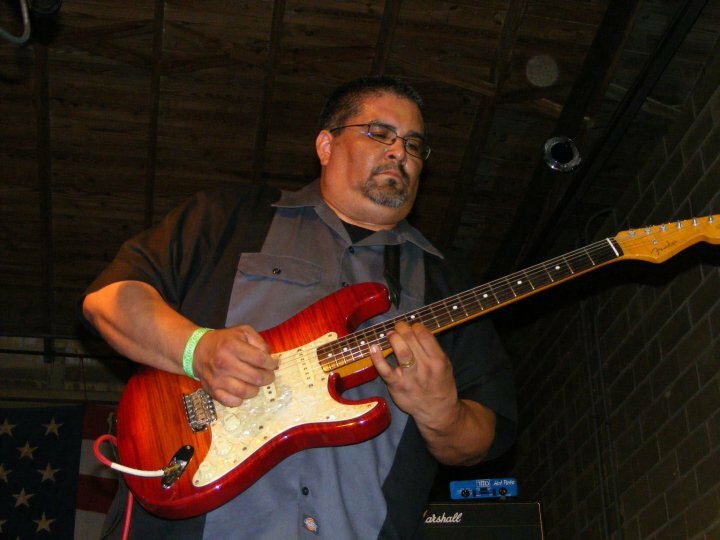 Featured on the podcast; "Rock Hand" ~ "Brown Betty"
"Tradition" is the key word founding member Clarence Castillo uses to describe the sound of "Step Aside". 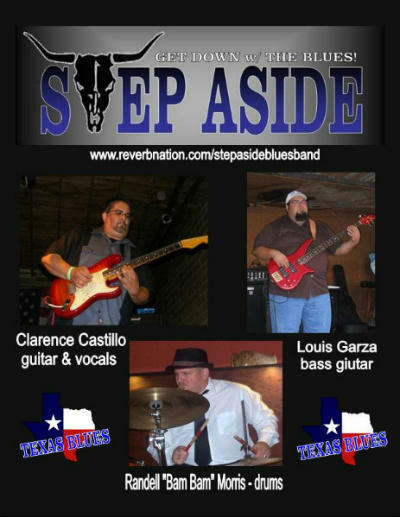 Step Aside is a three piece "Blues" band that hails from San Antonio, TX. Although original in music style and lyrics, the band keeps with the tradition of the Blues which is based on heart & soul. To see and hear the band live takes you back when great "Blues Legends" were around. The goal of the band is to help in "Keeping The Blues Alive" and to pave more of that "Blues Highway" the legends laid down.